Each Danish modern vintage lounge seating, occasional seating and dining chair represented here is hand-picked in Denmark and then shipped to Danish Teak Classics, where it is then restored by our skilled craftspeople. Danish Teak Classics offers the best selection of Danish Modern lounge furniture available in the United States. 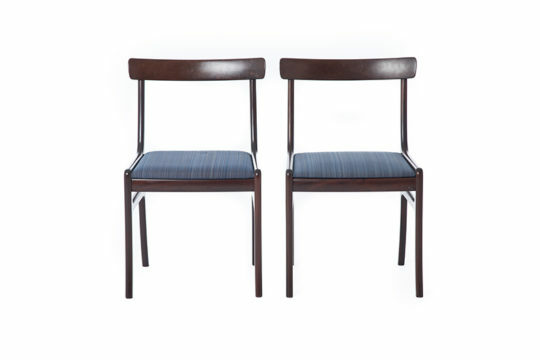 Designers represented in our inventory include Hans J. Wegner, Borge Mogensen, Greta Jalk and many others. All are available on a piece-by-piece basis except where multiples are noted.